Open and Closed Hanging Sign Boards PSD - Free Photoshop Brushes at Brusheezy! Are you open? Are you closed? 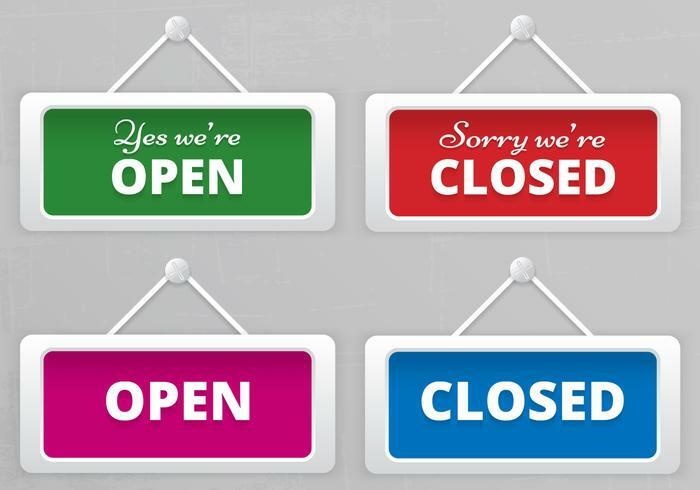 Let people know with the new Open and Closed Hanging Sign Boards PSD! No matter what kind of media you're designing for, these hanging sign board PSDs are just great! The open and closed hanging sign boards PSD will not only save you time, but make you look professional as well. If you want the vector version, you can get the <a href="http://www.vecteezy.com/signs-symbols/61587-open-closed-hanging-sign-boards-vector/premium">Open and Closed Hanging Sign Board Vectors</a> over on Vecteezy!